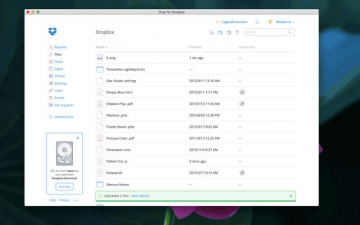 [無料] AppBox for Dropbox - Upload & download files | Mac App Storeのアプリ検索・ランキング BuzzMac! AppBox for Dropbox lets you access Dropbox super fast. Browse, download and upload files without even opening your browser or finder. AppBox for Dropbox is a 3rd party app and is not affiliated with Dropbox what so ever. Dropbox and its logo is trademarks of Dropbox Inc.